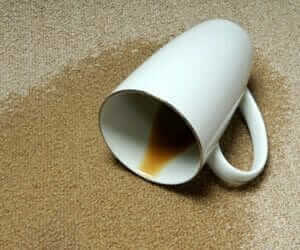 Even though you have the best carpet cleaning product, it can be really tough to remove carpet stains from spilled food. Not only that, if you have a pet, you also have to deal with urine stains as well as pet odor. 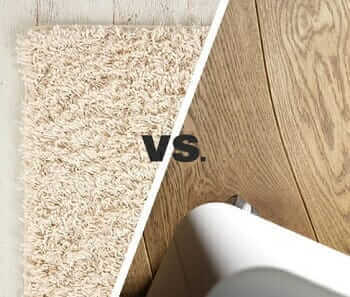 Needless to say, fighting carpet stains can really be such an inconvenience especially if the surface that you are going to work on is exposed to a lot of foot traffic. Definitely, no amount of vinegar can save deep-seated stains. What you need to do is to deodorize carpet with baking soda. At the same time, it is also great to have carpet cleaning machines which can make the cleaning process easier. So, how will you go about it? There are a lot of ways on how to use baking soda on carpet stains. But there are two methods that are very simple, but the results are drastic. Those are what we are going to discuss today. Do you have a carpet stain that has been bugging you for a long time? Keep on reading to finally find out how to get rid of carpet stain! Before we discuss the two methods on how to use baking soda to get rid of carpet stains, let us first go over the materials that you need to accomplish these methods. The following tools and materials can be used for both methods. You have to vacuum your carpet. If you also have other carpet cleaning machines, that will also work. Just make sure that whatever you are going to use will not ruin the gentle fibers of your carpet. At the same time, they should not leave a permanent indentation on the carpet. Of course, this is the main material for cleaning up those nasty carpet stains. Keep in mind that you should always use fresh baking soda. With that said, you should not use baking soda that has been openly lying around, in the refrigerator or even leftover baking soda in a sealed container from your past baking experiences. You are going to use this to clean your carpet before using baking soda. It will be great to note that the dry scrub brush that you are going to use should not have such tough bristles. In the event that you use one with such tough bristles, this might damage the carpet. This is a very important cleaning tool because it can be used in two ways. The first way is to clean your carpet when using a wet solution. The second way is to help blot the excess moisture from your carpet. This tool is really recommended to be used more than brushes because the possibility of damaging your carpet is lessened. 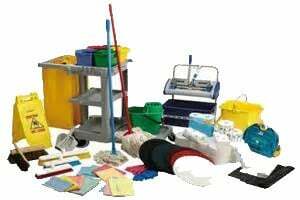 If you are looking more options, check our give about the best sponge mops. These two materials are great to be used to blot the excess moisture from your carpet. These are great to be used if the texture of your carpet is full and fluffy. In using these materials, you are assured that the original texture is preserved and not smushed together. Of course, there will come a time where you need to deep clean your carpet. The safest way to do so is to use a shampoo that is specifically made to be used on carpets. This will ensure that the integrity of the carpet is preserved and that the carpet stains will be completely dealt with. If you do not have a carpet shampoo, that is also okay as there are alternatives. We can discuss the alternative solution as we go on. The use of vinegar is very popular in dealing with such tough carpet stains because the components in vinegar help to break down the acids in stains. In the process, it makes it easier to lift or even completely remove the stain. More than that, combining vinegar with baking soda makes for such a tough solution that can effectively remove stains. But at the same time, the solution that is made is gentle enough to not ruin your precious carpet. It is suggested to use room temperature water so that it will not react to a solution that you are going to use. More than that, using room temperature water will not shock the fibers of the carpet. This can be used for mixing solutions as well as deep cleaning your carpet. You can use essential oils in a lot of ways. You cannot only use it to remove pet or stain odors, but it can also be used to deodorize and sanitize your carpet. Some people tend to mix it with carpet shampoo, while others mix it with baking soda. Some essential oils that are commonly used are lemon, lemongrass, eucalyptus, cedar, lavender, sandalwood, rose, and green tea. This is really not mandatory, but it can be really helpful when you are going to make your own dry or wet solution. The use of a tool instead of going in with your hands is more sanitary and it can also act as a protection for your hands if you are going to work with tough chemicals that might cause allergies. First off, you have to prepare your carpet for baking soda treatment. You can vacuum your carpet. In doing so, you can get rid of other loose particles and dirt that might make your carpet muddy when treated with a wet solution.At the same time, this can get rid of the dirt particles and oil that come from the bottom of your shoes. You really do not have to remove everything, you just need to do a quick clean so that the dirt on the surface can be dealt with. 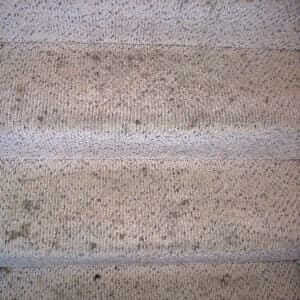 Think of this process as also being a quick clean of your carpet beside removing carpet stains. Once the bubbling has settled, take your paper towel and blot that area so that the moisture will be absorbed. Notice that the stain will be lightened. Just keep on repeating on pouring the hydrogen peroxide and blotting it afterward until the area is completely lightened. After vacuuming the carpet, it is now a good time to tell your household members that you are going to do a baking soda treatment. In this way, the foot traffic on the carpet will be lessened and you can completely just focus on removing the carpet stain instead of worrying about more dirt on the carpet brought about by your family continuously walking on it. You are now ready to put baking soda. Sprinkle a liberal amount directly on the carpet stain. Make sure that you are completely covering the stain. At the same time, it should be distributed evenly so be wary of clumps. Take a brush to work it into the deepest fibers of the carpet. Remember to work it in gently so that the carpet will not get ruined.If you have a carpet with a fuller texture, you can opt or using an old sock or t-shirt. Again, do not scrub it in roughly, instead, do steady blotting gestures. When doing this, the baking soda might clump, so massage everything evenly.Let the baking soda sit there for at least 24 hours so that it can really do its thing. It will lift off the stain and also deodorize the odor. Of course, while waiting for the sitting time, you should not walk over the area where there is baking soda. Vacuum your carpet to get all of the baking soda off. Remember to work in sections so that there will be no leftover product. Once there is no visible baking soda left, you can then do another round of the vacuum to completely clean your carpet. Before doing the baking soda treatment, wash the stained area first with carpet shampoo. If you do not have that, you can mix one part water to one part vinegar to wash the stain. After doing so, wait for the carpet to completely dry before applying the baking soda treatment. Once the bubbling has settled, take your paper towel and blot that area so that the moisture will be absorbed. Notice that the stain will be lightened. Just keep on repeating on pouring the hydrogen peroxide and blotting it afterward until the area is completely lightened. In order to mas the smell, you can mix at least 10 drops of your chosen essential oil to the baking soda. Mix everything with a whisk, making sure that there are no clumps. Put a liberal amount directly on where the stain used to be and let it sit there for 24 hours. You can then vacuum your carpet again to remove the baking soda. If there is still some smell left, just apply the baking soda treatment again mixed with essential oils and vinegar until the smell is eradicated. The longer the baking soda is left on a carpet stain, the more effective it is in removing the stain. You can also add essential oils to the white vinegar solution to get rid of odors. Make sure to let the carpet completely dry so that there will be no moisture and vinegar left on the carpet that might ruin it. Always blot in between treatments to get rid of trapped moisture from the vinegar solution. Those are the two easy methods on how to use baking soda as a carpet cleaner and to eliminate odors. Do not be afraid to use as much baking soda as you can because generally, they are not harmful to pets and children. With those in mind, you will no longer be afraid to tackle those tough stains, because you have your secret weapon, baking soda.